Cathedral Lakes Lodge is located in the core of Cathedral Provincial Park and is only accessible by our private 4 x 4 road. Lodge guests are invited to park their vehicles in our secure base camp parking lot. From there, you will be greeted and transferred to a four-wheel drive jeep for a safe and exciting one-hour journey to the lodge. All transportation must be pre-booked when you make your reservation. 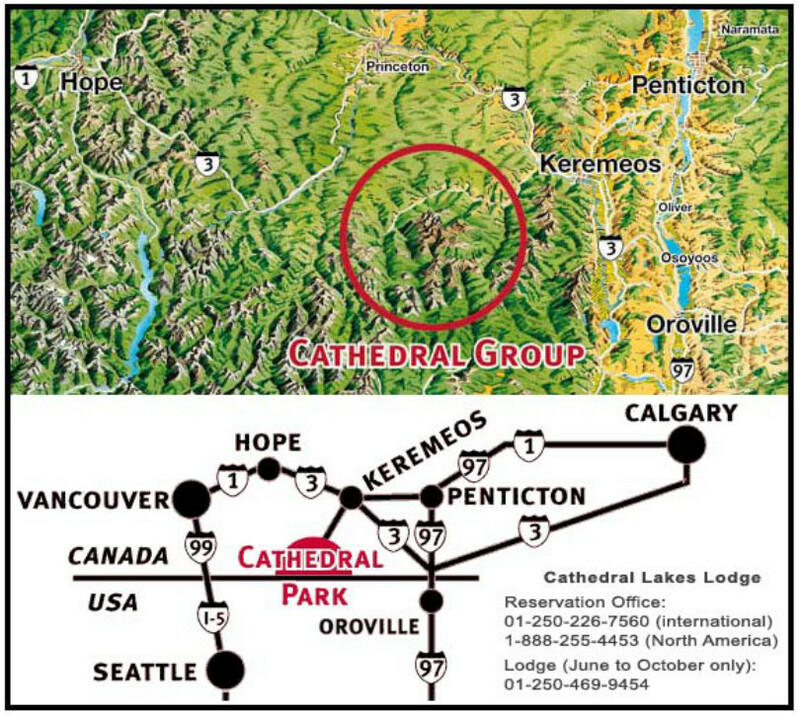 Look for the Cathedral Lakes Lodge sign and turn off Highway 3, 4.8 km (3 miles) west of Keremeos. Cross the red covered bridge and follow the scenic Ashnola River road for 20.8 km (13 miles) to base camp. From the highway turn off, allow 30 minutes to get to base camp. Take the bus to Keremeos where arrangements will be made (ahead of time) to get you to base camp. For lodge guests only. The Penticton Airport is the closest airport to Keremeos. Transfers for the trip to base camp (about a 45-minute drive) can be arranged upon request. For lodge guests only.